Writers all have their diversionary tactics to avoid or break writer's block. For me, it's "working in the yard" -- the term that most guys use for gardening -- or at least most Southern guys. My longtime friend Marsha Cannon interviewed me in October 2013 for her popular blog and featured my family backyard or garden. Marsha wanted to picture me in the location where I spend most of my time writing my murder mysteries and medical thrillers. Truthfully, where and when I craft my fiction into manuscript varies with what the rest of my life is throwing at me -- thus the necessity of a laptop and downloaded file via a flash drive. 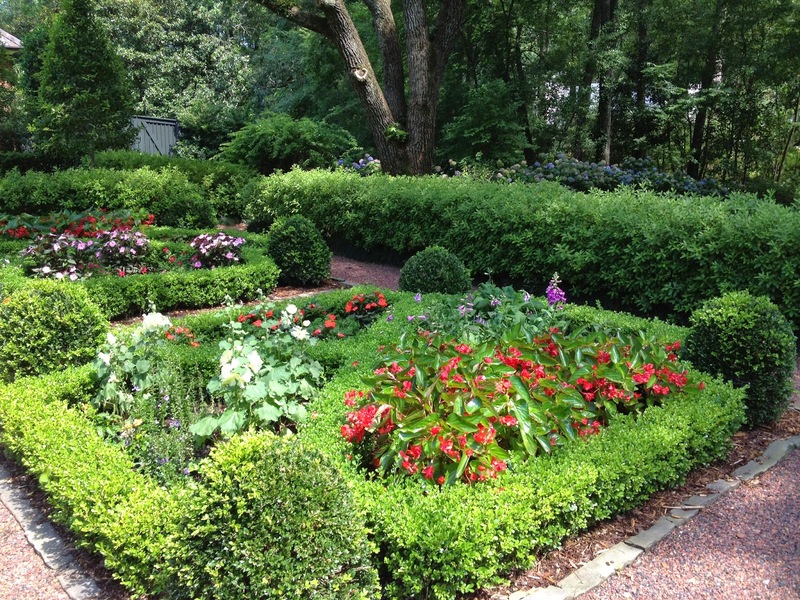 I have included below the link above to the feature, which includes a brief pictorial tour of Darden's Garden and mention of my award winner books. I encourage readers to check out Cannon's other posts. In fact, I know of many who start the day with a visit to the daily offering posted on marshacannon.org. 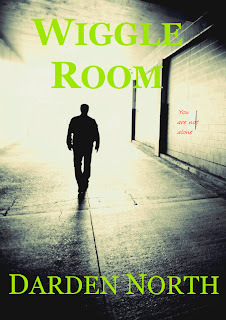 Midwest Book Review of "Wiggle Room"
Synopsis: Brad Cummins is an Air Force surgeon who returns from overseas deployment after serving four months at the height of the Iraq War, during which he fails to save an injured soldier but mends the GI's attacker. He endures rigid criticism from his peers, yet survives the medical tribunal's investigation. Back in Jackson, Mississippi, still blaming himself for returning the insurgent to the killing fields, Cummins discovers his look-alike brother shot to death and is certain that he was the intended target. Both the police and Brad's fiancée discount his fears as paranoia, forcing Brad to consult a psychiatrist. Then his fiancée is found murdered in his apartment. There is no doubt in his mind that he is marked for murder. Jackson doctor mixes medicine with thriller writing June 18, 2013 Health Care Editor’s Note: Darden North will have his first official signing for “Wiggle Room” at Lemuria Books in Jackson’s Banner Hall on July 20 from 1:00-3:00 PM. The event is sponsored by the Sartoris Literary Group and will also include a headline signing of “Scotty & Elvis” by Elvis Presley guitarist Scotty Moore. Air Force surgeon Major Brad Cummins nears the end of his four month deployment in Iraq when the American victims of an IED are rushed into emergency care. Also brought in is the wounded insurgent bomber Zarife Amarah. Whereas Marine Lance Corporal Chad Giles dies, Amarah lives. 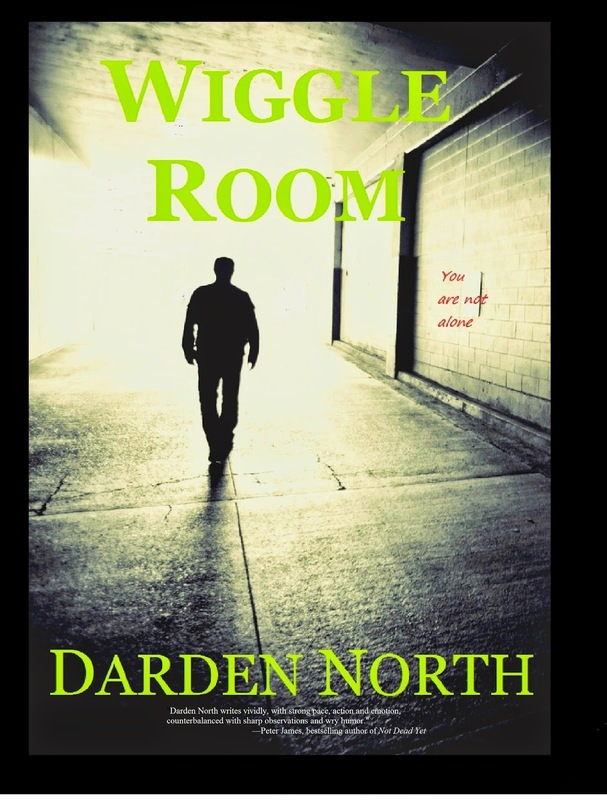 If what you seek is a fast-paced, action-packed “just one more chapter” thriller, Wiggle Room by Darden North definitely fits the bill. Mr. North’s economical writing is augmented by just enough humor to keep the pace brisk and the pages turning. His heroes are less than perfect but eminently likable, and his villains occupy more than one dimension. Mr. North writes as though it is just wrong for a reader to catch a breath. 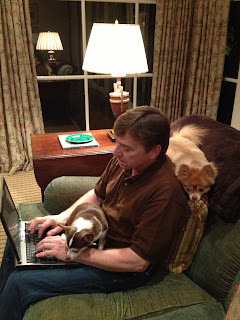 I was interviewed on Marshal Zeringue's blog Coffee with a Canine May 15, 2013. I'm still waiting for Valerie and Foxy to answer me. Wednesday, May 15, 2013 Darden North & Valerie and Foxy Who are in the photos with this entry?